This cartoon is for a section of the stained-glass windows made for the church of Holy Cross and St Lawrence at Waltham Abbey in Essex. The windows were made by James Powell & Sons of Whitefriars, London. 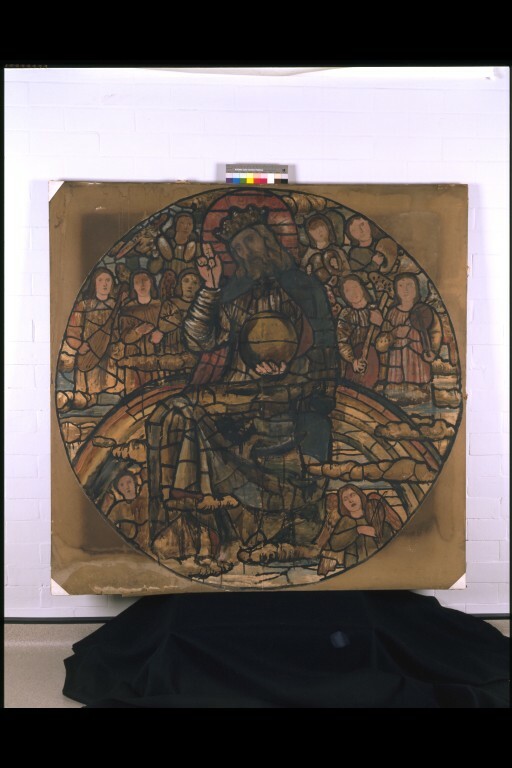 Design for a stained glass depicting Christ in Glory. 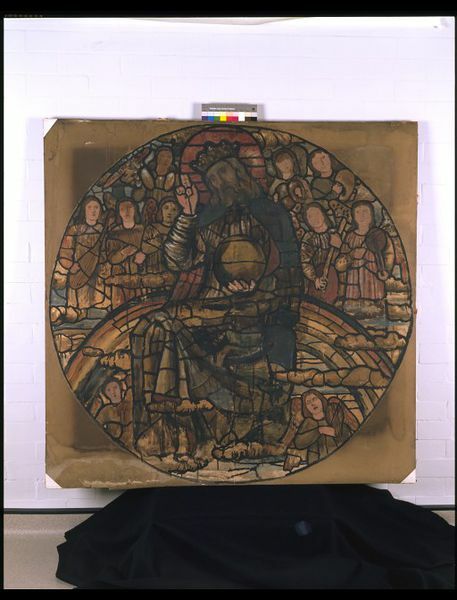 Central roundel. For James Powell & Son, Whitefriars. Stained glass design for Holy Cross and St Lawrence Church, Waltham Abbey, Essex. The east end was remodelled by William Burges in 1859-60. Sir Edward Poynter was responsible for the painted ceiling and Henry Holiday contributed some stained glass also. These are the last cartoons that Burne-Jones made for Powells. 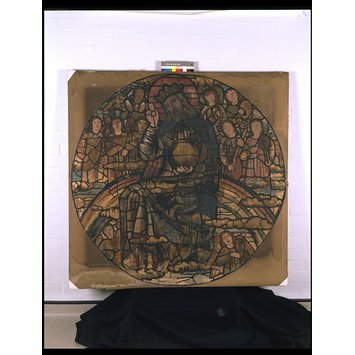 1 of 2 cartoons for stained glass for Waltham Abbey by Edward Burne-Jones, 1860.